Although it is important to generate high volumes of traffic to a website, it is important for this traffic be targeted such that the people who visit your website are likely to buy the services and products you offer on your website. Since promoting your website can take some effort and money, you don’t want just anyone to visit your site. Instead, you only want people who would be interested in what you have to offer. This article outlines how you can build a steady stream of visitors to your website who are targeted and likely to bring you sales. 1) Know your target customers and make sure that all your advertising campaigns are targeted at these customers. This means that you must use all the necessary keywords which define your potential customers in all your advertising campaigns. If you are using Google Adwords, your advert must specify the targeted customers. If you are writing articles as a way of promoting your website, your articles must contain the keywords for your niche. 2) List your website with top search engines and directories in categories that suit your niche. If your website is about selling products or services that relate to making money online for example, get your website listed under this category on relevant websites. This means that people who are looking for this specific information that relate to your website will easily find your website. 3) Advertise your website in relevant forums and online groups. The more you know about your potential customers, the better you will know where to find them. This means you can go to the relevant forums or online groups where your customers are and you can advertise your website there through having your website URL in your signature when you make posts in these forums. People in forums that related to your niche are targeted customers who have high potential to buy from your website. 4) Write articles that are rich with your keywords. You can create articles on your website using a blogging system, your can then articles get picked up and published by many websites, e-zines and directories. You can therefore quickly have thousands of back links pointing to your website. It is therefore important that all your articles have several of your keywords so that when people type these keywords on search engines while looking for information, your website comes up and ranks high on these search engines. 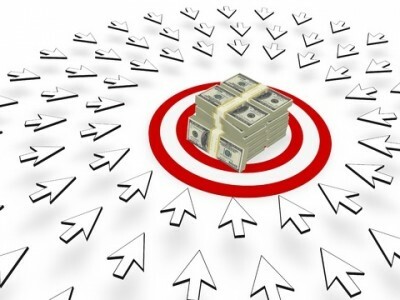 This drives targeted traffic to your website. 5) Use your own e-zine and other related e-zines to advertise your website. By publishing your own e-zine, you already have many prospects who are interested in what you have to offer. Make sure that your e-zine has new content and gives away some free report or e-books to your subscribers. Make sure that your website URL is added in all your e-zine publications. Identify other e-zines with a readership that matches your target niche market and advertise your website in these e-zines. Research and look for other web sites where your target customers visit and inquire about advertising your website on these websites. Look for industry or local directories that allow you to place adds for your business.Make sure your advertisement is targeted to your ideal customer. The six tools outlined above can help you generate targeted traffic to your website. If you want to increase your conversion rate and boost your sales, you need to have targeted visitors on your website.